Online marketing is one of the most popular types of business in this modernized world where the internet serves as the primary instrument for long distance communication. In this kind of industry, it is necessary that all interested businessmen must have best free WordPress eStore plugins to install in their websites to make sure that their clients will never be disappointed with their services on the internet. Here, in this post I have compiled a list of some of the amazing free eStore plugins for wordpress. They range from basic to complex, from free to commercial, but each provides tools that allow you to easily sell your wares on a WordPress-powered website. You may want to take a look at the following related articles: Free News Themes for WordPress, Free Analytics Widgets for WordPress, Premium WordPress Themes for Pubs and Free Restore Plugins for WordPress. The Social Deals Engine is more than just “another” Deals plugin. It is an Extendable Plugin built to allow you to use Special Offers and Deals through the Power of Scarcity, Limited Quantity, Exclusivity, and Price Manipulation. Easy Media Download is a free download manager for WordPress. It gives your users the ability to download digital media files from your website. The plugin is lightweight and makes downloading easier. This plugin provides you a shortcode to generate a customizable PayPal payment button that allows a user to pay for an item instantly in a popup using the PayPal for digital goods API/Gateway. All in one WordPress plugin for selling digital downloads. 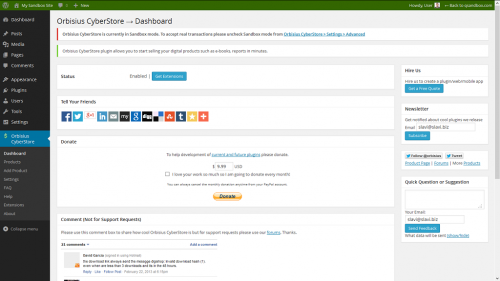 It allows you to sell digital downloads via PayPal and manage orders from WP dashboard. WordPress iSell is a simple WordPress plugin to sell digital downloads. It integrates flawlessly with PayPal. Easy Digital Downloads is a complete e-commerce solution for selling digital products in a light, per formant, and easy to use plugin. Rather that attempting to provide every feature under the sun, Easy Digital Downloads makes selling digital simple and complete by providing just the features you need. Orbisius CyberStore allows you to setup your e-store and start selling digital products such as software, e-books, pdf, reports in minutes. It adds a simple Buy Now button which sends the customer to PayPal to complete the payment and after that he/she is returned to your site. 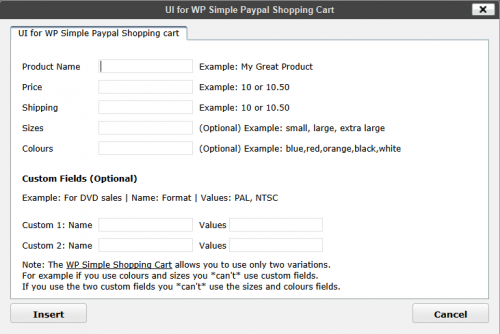 The plugin adds a button in the richtext editor which allows you to easily generate the short code for WordPress Simple Paypal Shopping Cart. It saves you typing the short codes and therefore reducing the chance of typos. The plugin is very easy to use. Store hours provides a complete solution to managing your hours of operation on Easy Digital Downloads. With a rapidly expanding list of features, it’s all you’ll ever need for store scheduling! Security is a big concern for ecommerce (or any websites) today. WordPress by default doesn’t enforce user’s password when people sign up or update them. 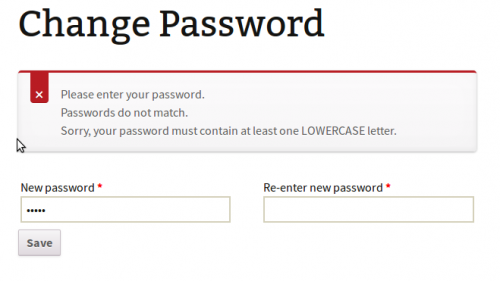 This plugin gives you the flexibility of enforcing user’s password format (password length, combination of numbers, lowercase chars, uppercase chars or special chars). This plugin refreshes automatically WooCommerce products stock using the Heart Beart API. Once installed, click on WooCommerce > Settings > Inventory Tab, and you’ll see a new “Live Stock” section. This is where you can configure the settings.